Motor racing had become increasingly popular in Belgium after the First World War and the Ardennes region hosted a number of races before the spotlight fell on the roads around the town of Spa-Francorchamps – until then more famous for its healing waters. The combination of long straights and rolling countryside seemed perfect for the new sport, offering the chance to attain high speeds. Attempts were made to organize the first race in 1921, but these foundered when there was only one entered car. By 1969, Stewart's fellow Grand Prix drivers were largely in agreement and successfully boycotted the Grand Prix when demanded safety improvements had not been carried out. They relented in 1970 when armco barriers were erected around the circuit, but only after the last minute installation of a temporary chicane at Malmedy. It was to prove the last F1 event on the old course. The solution came in 1979, when a new section of permanent track was built to create a much shorter 4 mile circuit. This saw the cars turn off the old course before Les Combes, heading down the valley through a fast but technical section before returning to the old course before Blanchimont. 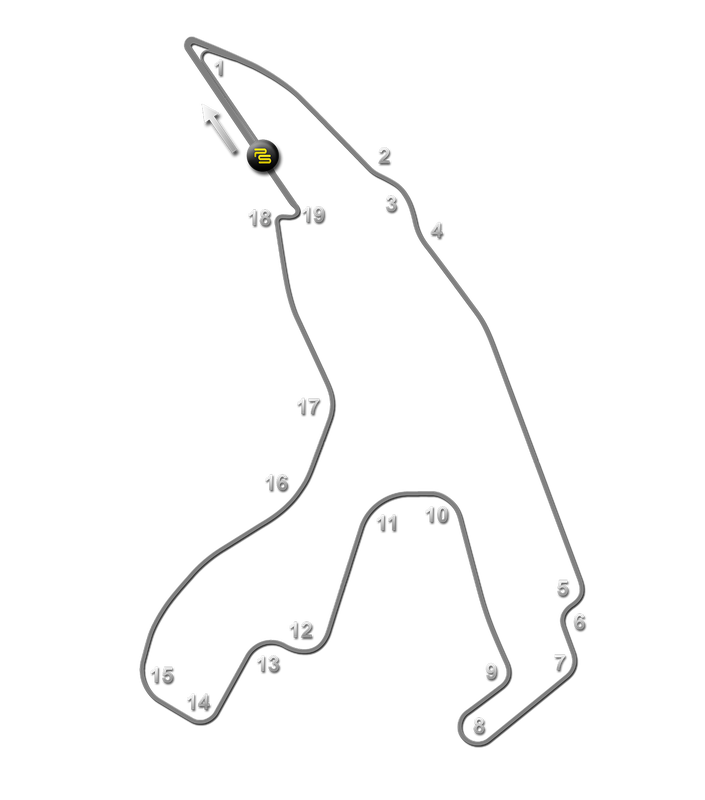 The new circuit was a universal hit, retaining its character as one of the most challenging in the world but with safety margins, which had hitherto been unimaginable. Nevertheless, there was still room for further refinements. In 1981, to slow cars through the old Clubhouse corner, a chicane was installed. A slightly clumsy left-right, right-left double corner, it instantly acquired the nickname of the 'bus stop chicane'. 1983 saw the return of Formula One, utilizing brand new F1-only pit facilities on the straight between the bus stop and La Source. There was controversy when the original meeting had to be postponed to later in the year after the track surface broke up.